Discussion in 'Server & Client Support' started by Chris, Jan 15, 2014. 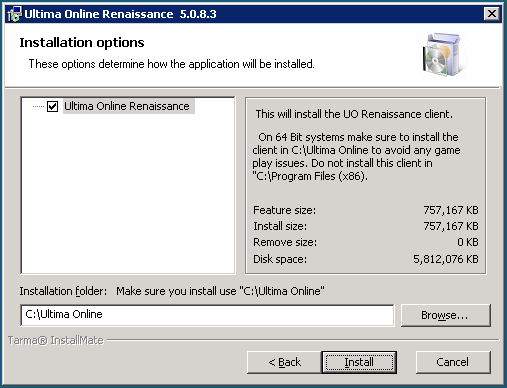 This guide will take you through the process of installing the UO:Renaissance client on a windows based system. Step 1. 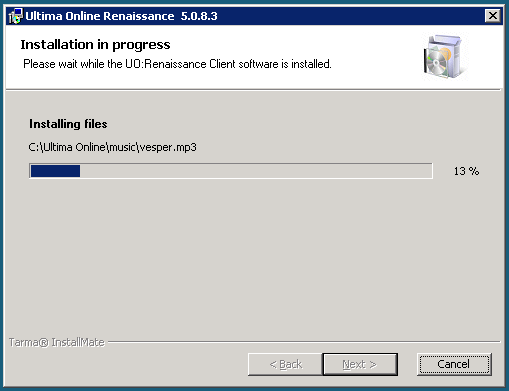 Download the client from our downloads section as shown here. Step 2. Once the file has finished downloading run it from your web browser or find it on your hard drive and run it. 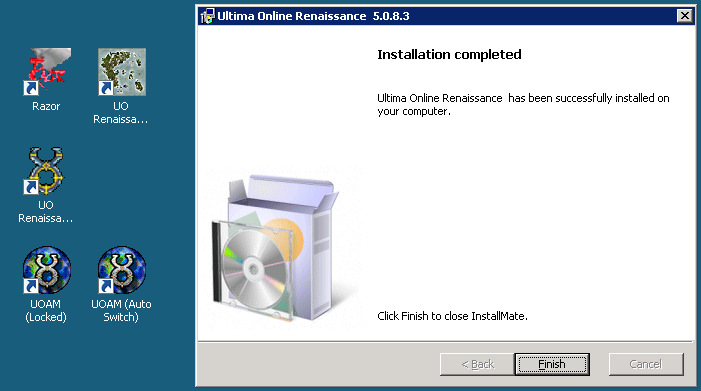 UOAM Locked - Stays linked to the first account you have logged in. UOAM Auto Switch - Switches to tracking the client is active. Step 6. Double click the razor icon. If you get an error at this point or your razor window does not match the one shown check the troubleshooting section below. Step 7. 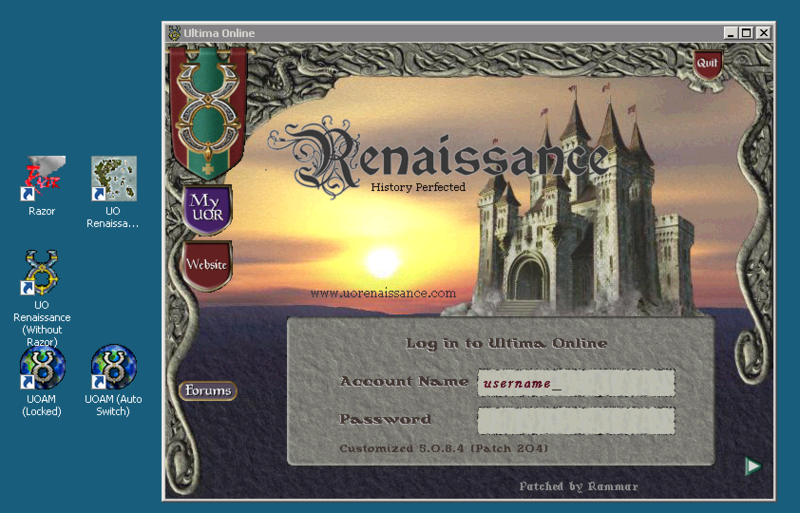 You will now see the UO Renaissance login screen. If you already have an account enter it now. If you do not, enter in the account name and password you would like, & it will be created automatically for you. Make sure to write this information down somewhere. 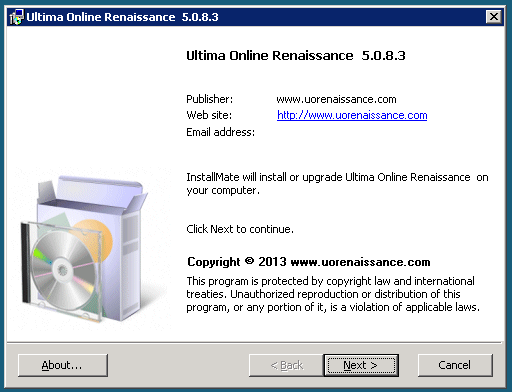 Note: If you do not see the UOR logo as shown in the picture, you are not using the UOR client. If you have any issues after installing the client software make sure to check out the following posts. Razor was unable to locate and load a suitable UO Cliloc file. Some text may not be displayed. 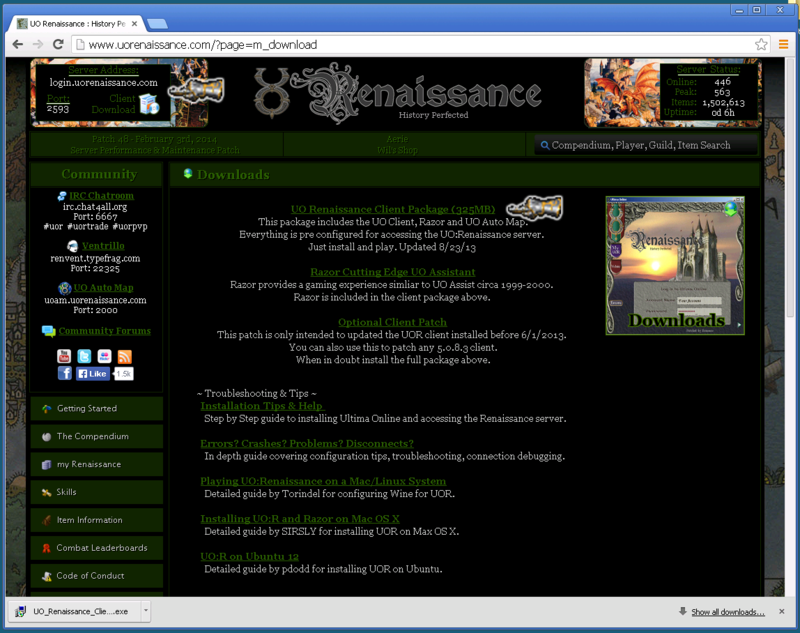 This thread covers a variety of methods to test and improve your connection to the Renaissance server.